Before we get started – I’ll be back this afternoon to announce the winner of the Stateside Notebook giveaway! 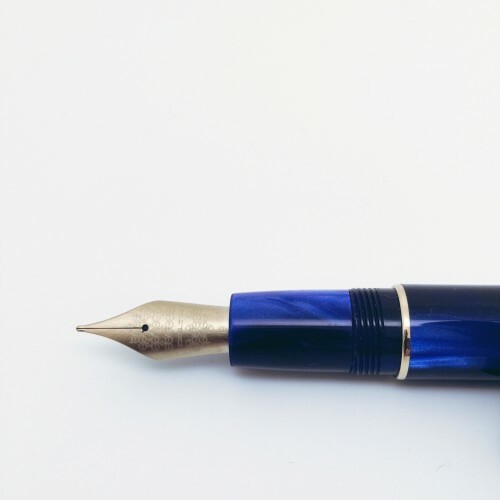 The Delta Unica is a gorgeous pen. Deep blue swirls that vary from almost white to almost black, but mostly velvety blue. In a word: chatoyance. Let’s have a look under the hood . . . The trim (or furniture, if you prefer) is gold-plated. The cap screws on and can be posted (placed on the back of the pen) easily. The clip has one of those rolly things that (in theory) makes it easy to clip to a pocket. I’m generally not a fan of this feature, but that is definitely a matter of personal taste. 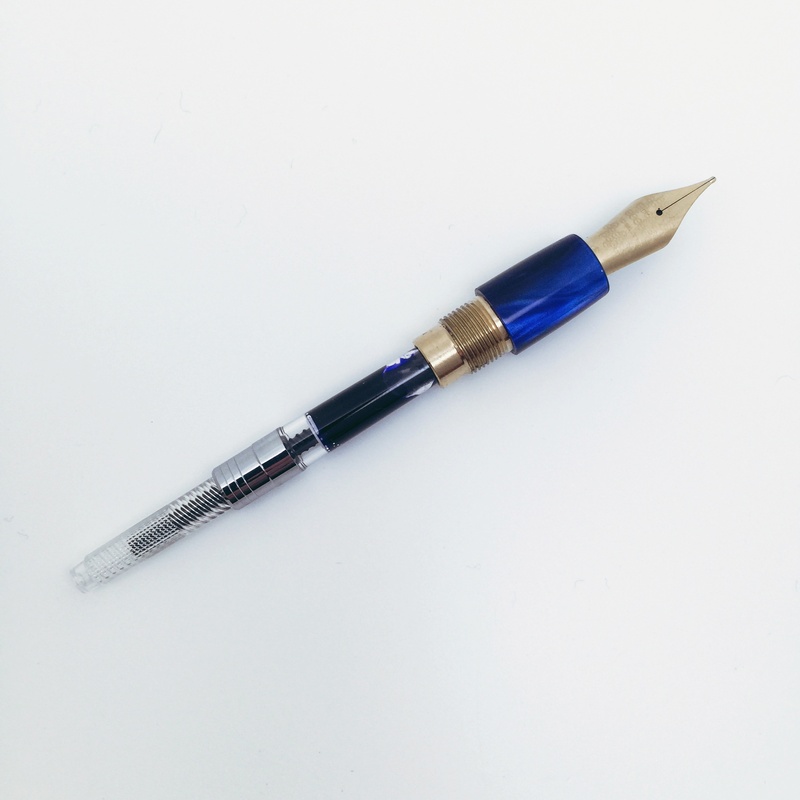 The nib has a matte finish (it’s brushed gold-plated steel). It’s an interesting look that may not be for everyone. The nib features a wonderfully scrolly design that I quite like. The section of the Unica is sized well and comfortable. The pen takes international short cartridges or fills with the included converter. Fittings are deep (a good thing) and appear to be brass (another good thing). I inked it with J. Herbin’s Ocean Bleu and found them to be a perfect pairing. The pen wrote perfectly out of the box. No skipping, no hard starts. Flow was perfect. The nib offers some feedback. 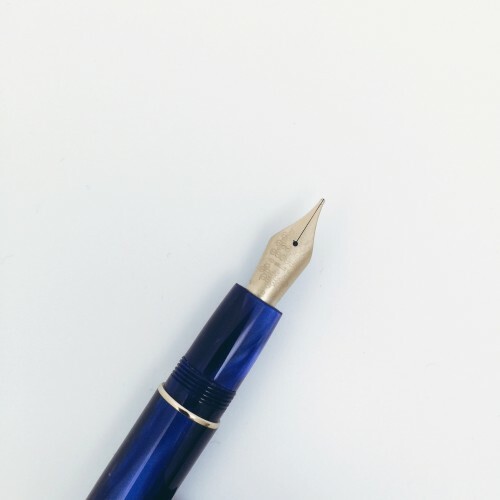 Some writers prefer and are accustomed to a perfectly buttery smooth writing experience and anything other than that may feel scratchy at first glance. This nib doesn’t catch on the paper nor is it difficult to write – rather, I can feel the paper beneath the pen. I like this, but it may be a deal breaker for some. 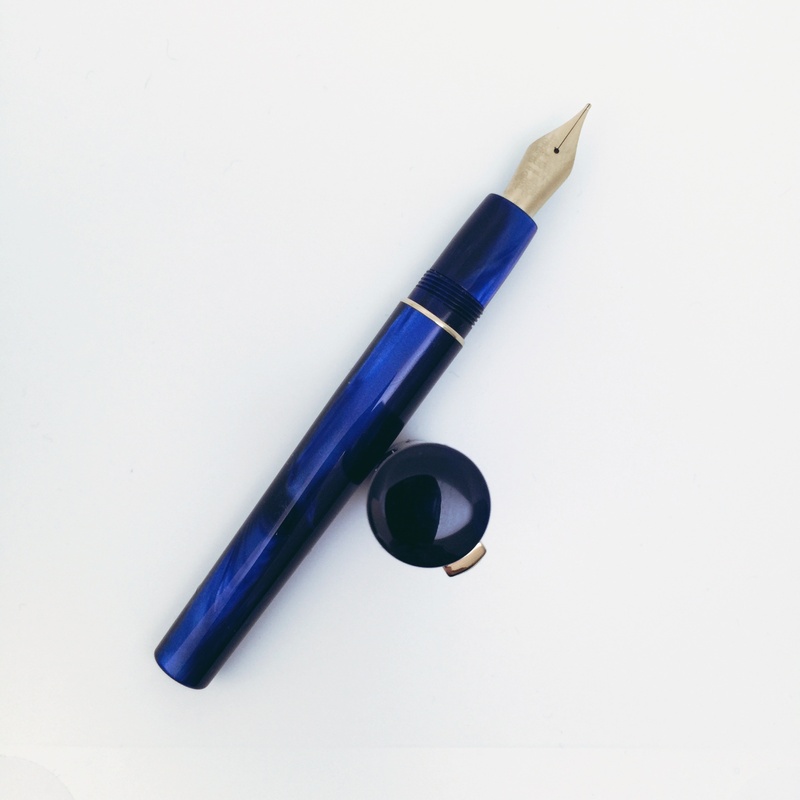 This version of the Unica is limited to 100 pens and is available exclusively at Goulet Pens. I wasn’t compensated in any way for this review and spent my own hard-earned $76 on it. The pen is available from other places and in other colors. This entry was posted in FOUNTAIN PENS, PEN PALS and tagged delta, fountain pen review, goulet pens by Christine (Pentulant). Bookmark the permalink. Hi Christine! Thanks for this review. I’m assuming the nib is a medium? I may have asked the question on IG, so I apologize for asking again. Whoops! I should have said. It’s a broad nib. It’s probably not as wide as a Lamy broad nib.